METRO ATLANTA — PHAC was recently named a recipient of the prestigious 2017 President’s Award from Carrier. 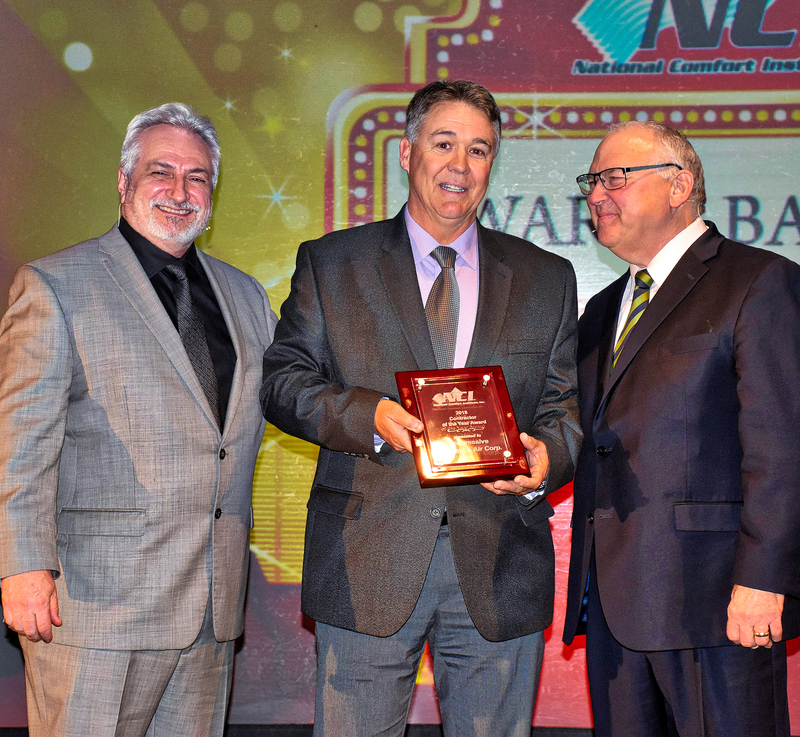 The award provides recognition for outstanding dealers in the heating, ventilating and air-conditioning (HVAC) industry. Dealers were honored at a ceremony held in Orlando on March 9. One of Carrier’s highest honors for its dealers, the President’s Award is given to Carrier Factory Authorized Dealers who achieve excellence in product promotions and delivered superior customer satisfaction. Recipients of this award represent the very best in operational excellence, business effectiveness and delivering cutting-edge technology to consumers. PHAC demonstrates technical expertise, while also serving as a leader in promoting the Carrier brand and raising the standard for equipment sales. The company exemplifies service excellence and provides exceptional customer care. PHAC specializes in HVAC installations and repair for residential new construction and custom homes, as well as commercial buildings and complete building restorations. To learn more about PHAC and its heating and services, call 770-253-2665 or visit www.progressiveac.com. It’s Coming! You Guessed It…..Allergy Season. Spring is upon us and, while Coweta County’s beauty is flourishing as nature blooms, many of us are beginning to suffer our dreaded spring allergies. The pollen count is getting higher with grass, ragweed, trees, and various other plants in bloom; damp and humid temperatures will soon give way to mold; and those cool spring and summer breezes blowing through the windows we all enjoy will circulate dust and other allergens around our homes. But spring doesn’t need to be bleak for allergy sufferers; just follow these HVAC maintenance tips to ease your allergies. Purchase high quality filters. Filters are your HVAC system’s way of defending you against allergens; filters keep allergens out so they won’t circulate through your home. You want to purchase high quality filters so they do their job properly. Change filters regularly. Filters trap dirt, pollen, dust, and other allergens. At some point, those filters must be changed so they can continue to trap allergens while still allowing air to circulate effectively. Filters should be changed every couple of months, with the exact amount of time dependent on your specific filter and HVAC system. If you see the filters are getting dirty before the regularly scheduled change, you may want to change them early. Your ducts may need cleaning. If your home hasn’t had regular HVAC maintenance or if you suspect there is mold or debris inside of your ducts, then you should have your ducts cleaned to remove allergens. This is a good tip to keep in mind before cranking up the heat again in the fall. Your ducts accumulate dust and other allergens all summer, so when you first turn your heating unit on those allergens will circulate throughout the house. Get rid of debris around units. Keep the area around your indoor and outdoor units clean and free of debris. Outdoor units pull air, and while the filter is there to catch the debris you don’t want to make the filter work harder if it doesn’t need to. Excessive debris will cause your filters to get dirtier faster, which means you will need to change your filters more frequently. Indoor units will circulate the air that is already inside of the house and any other allergens that are already inside of the house. If there is dust, dirt, or pet dander in front of your unit, those allergens will get circulated around the house when the unit blows the air. Don’t forget to dust. It’s common for people to forget to dust registers and return vents, but they can’t be overlooked because they circulate all of the air from the HVAC system. You don’t want registers and vents circulating allergens with the air. Need help with your indoor air quality? Call us at 770-253-2665 or set an appointment up here.